SOLID BRONZE, THICK, quality and detail. 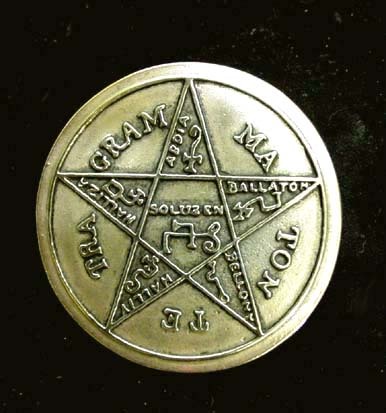 This symbol is known as the High Seal of Solomon or Tetragrammaton. Will fit any standard 1 1/2" belt. 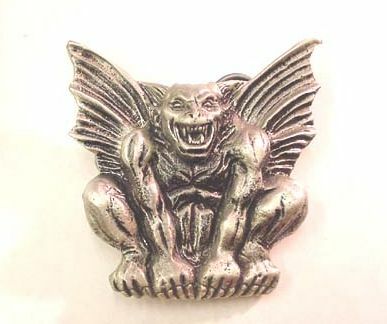 SOLID PEWTER, THICK, quality and detail. Double Sided Belt Buckle - a cobra forms the solid pewter hook closure on the underside of this buckle. 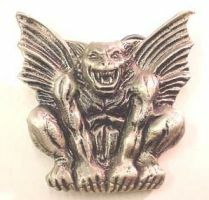 The sitting Gargoyle has a 3 dimensional look and is much more shiney than the photo shows. 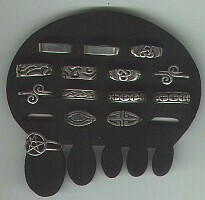 This is an adjustable, sterling silver, Celtic Triquetra Woven Shank Ring. This is a very nice solid ring that can be adjusted. It is 1/4" wide at the greatest with an 1/8" wide shank. One side of ring band has cut out scolloped edge giving the Flames added dimension. We have US size-13 available - or order your size. 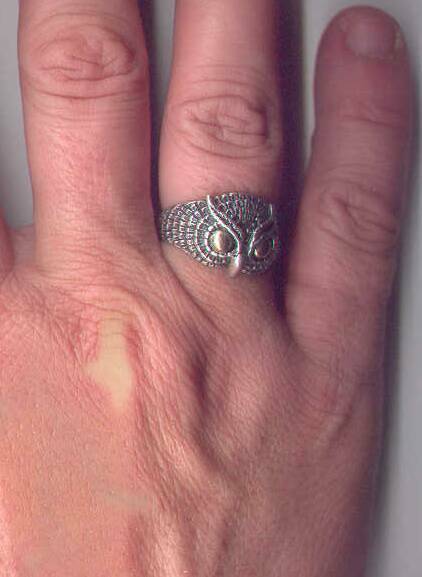 A unique Owl ring with detailed silver feathers and gleaming 9ct Gold Eyes that capture your gaze! This beautiful sleek ring is solid backed and made to last. DONT FORGET TO email us your RING SIZE - Made to Order in 3-4 weeks. 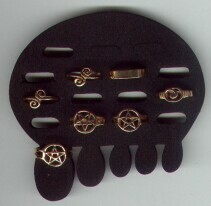 Toe Rings - Express Yourself! Each Toe Ring is Adjustable. 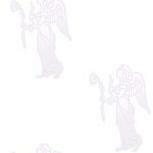 Please ask if not on order form. Why not E-mail us and tell us what You would like to see on this page!